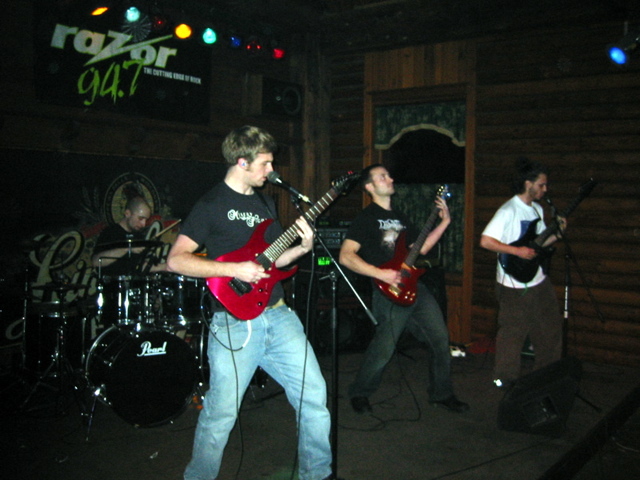 Burial of an Era is a Technical Death Metal band from Madison, Wisconsin. Burial of an Era formed in the winter of 2001 when guitarists Peter Rebholz and David Natvig met through a musicians billboard on the Internet and quickly started writing songs. Around February of 2002, drummer Brian Loomis, whom David knew from a previous band, joined and the three have been the core of Burial of an Era ever since, creating a brutal blend of melody, speed, technicality and emotion. American and Scandinavian death and black metal bands have influenced their music: Suffocation, Monstrosity, Nile, Origin, Theory in Practice, Emperor and Dimmu Borgir are a few. Over the years the band has written and recorded a number of original songs. All of these recordings are made available in the Music section below. Please stream, download, and share these recordings with your friends. Recorded between winter 2013 and summer 2014, They Will Inherit Nothing features three new songs (“Woe to the Sightless”, “Transcend the Deceit”, and “Embodiment of Malice”) as well as a revisit of “They Will Inherit Nothing”. 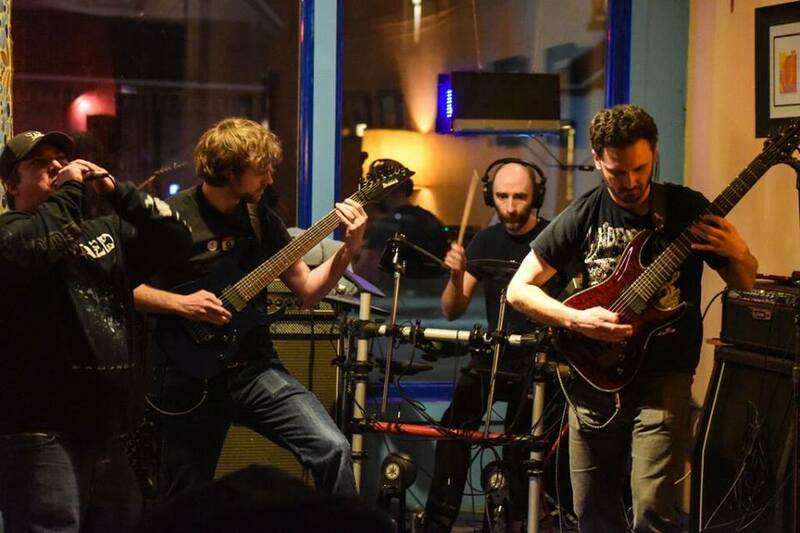 Lacking a bassist, Peter and David wrote and programmed synthesized bass tracks while Zach Leiterman, who had previously worked with the band, rejoined to perform vocals. The tracks were recorded and mixed at home by Peter. 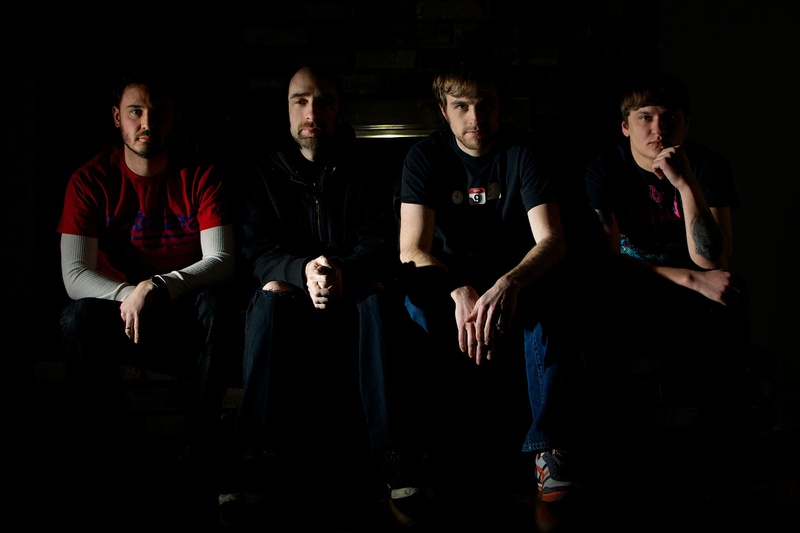 After reuniting in 2010, the band began writing new material while searching for new members. By spring 2012, Burial of an Era was ready to record At the Hands of the Forsaken with vocalist Derek Scholler. The recording includes one new song titled “At the Hands of the Forsaken” as well as two older songs (“False Hope, Regrets, Decay” and “Devil in the Flesh”) updated with new lyrics written by Derek. The tracks were recorded and mixed at home by Peter. In 2004, Bryan Marks joined the band to play bass and the lineup was complete. Between then and 2006, Burial of an Era continued to write new material while playing a number of shows in various parts of Wisconsin. In late 2005, the band recorded the first eight songs they had written in an album titled The Remains of Judgment. The tracks were recorded in the UW-Whitewater studio by Mary Zimmer and mixed by Peter. By 2003 Burial of an Era had written a number of songs and was prepared to record a demo. At this time the band was performing without a bassist and David and Peter were performing vocals.